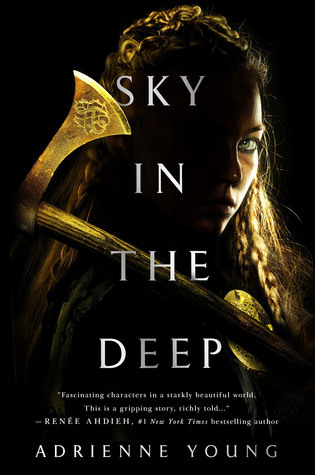 The book I’m most highly anticipating in April is… Sky in the Deep by Adrienne Young! This books looks so amazing for so many reasons. I’m obsessed with the title and cover, and the plot sounds incredibly intriguing! Also.. Okay, I KNOW this feature is supposed to spotlight ONE book. But I just wanna say that it was REALLY hard to pick which book I wanted to feature this month, and Ash Princess by Laura Sebastian came in at a VERY close second!